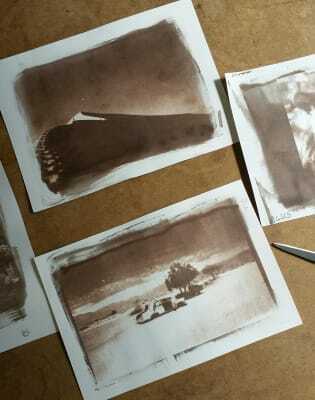 Hand paint light-sensitive chemicals, make rich brown prints of your own photographs and tone them with tea and coffee! 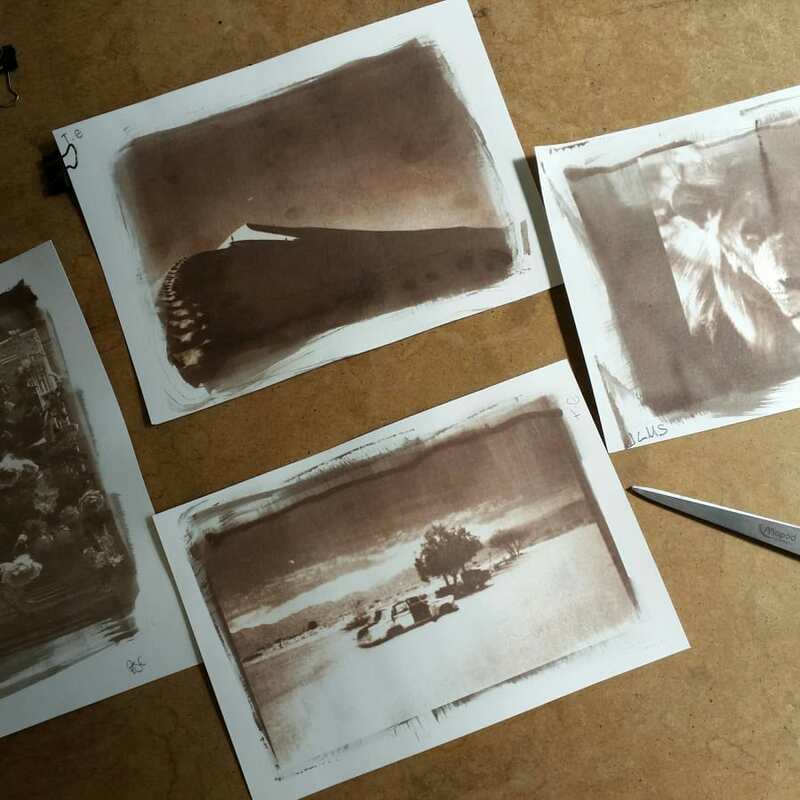 Learn how to get started with this rich brown Victorian photographic printing technique in my 3 hour hands-on workshop. 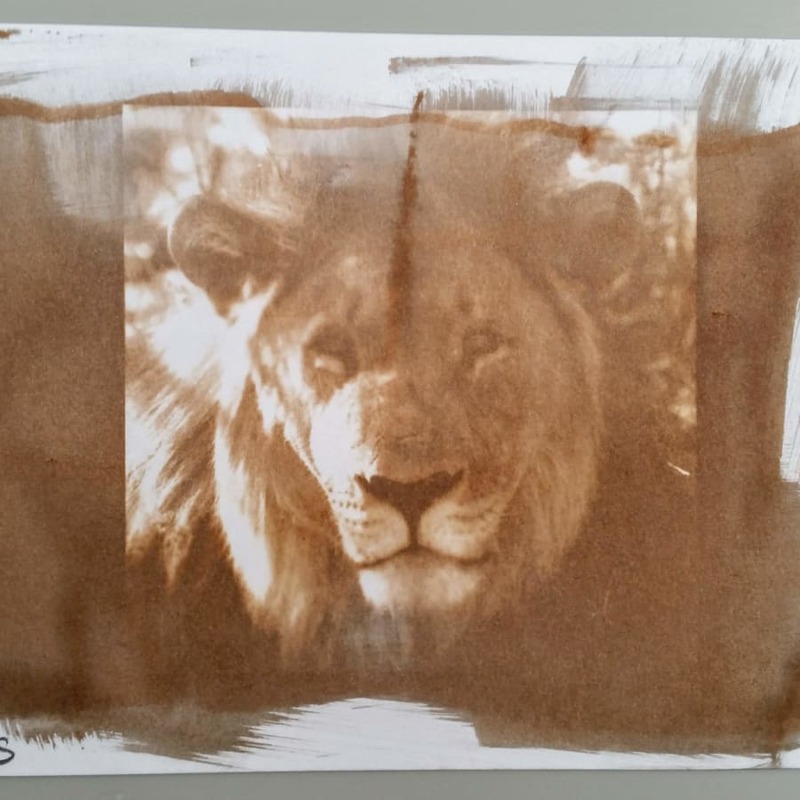 A similar brown tone to sepia or salt prints, you will coat paper with light-sensitive chemicals and then make beautiful images using plants, flowers and UV light. You can also print your own photographs as we will create digital negatives for you to use in the workshop. But don't worry, there is nothing digital about this workshop! It's proper, hands-on stuff. Each print will be totally unique, have your brush strokes around the edges. All paper and chemicals is included in the price. ONCE YOU HAVE BOOKED, PLEASE REPLY TO YOUR CONFIRMATION EMAIL WITH 2 IMAGES YOU WOULD LIKE TO PRINT. I will need to have these images 5 days before the workshop please. If images are submitted too late you can still attend but will make photograms using objects and can print images using my negatives if you want to. Images with a good range of midtones work well, very contrasty images work less well but it depends what effect you want! Feel free to try anything! Please wear clothes you don't mind potentially getting stained. It'd be great if you could bring some of your own objects for the photogram part - leaves, flowers, objects. Anything with an interesting shape or silhouette or something translucent with an interesting texture (eg, lace). It's called Van Dyke Brown after the rich brown oil paint colour named after 17th Century Flemish painter Anthony Van Dyck. Catriona Gray is an artist and photographer who works primarily with 'analogue' photographic processes and teaches some wonderful alternative processes that will give you a break from the digital world! 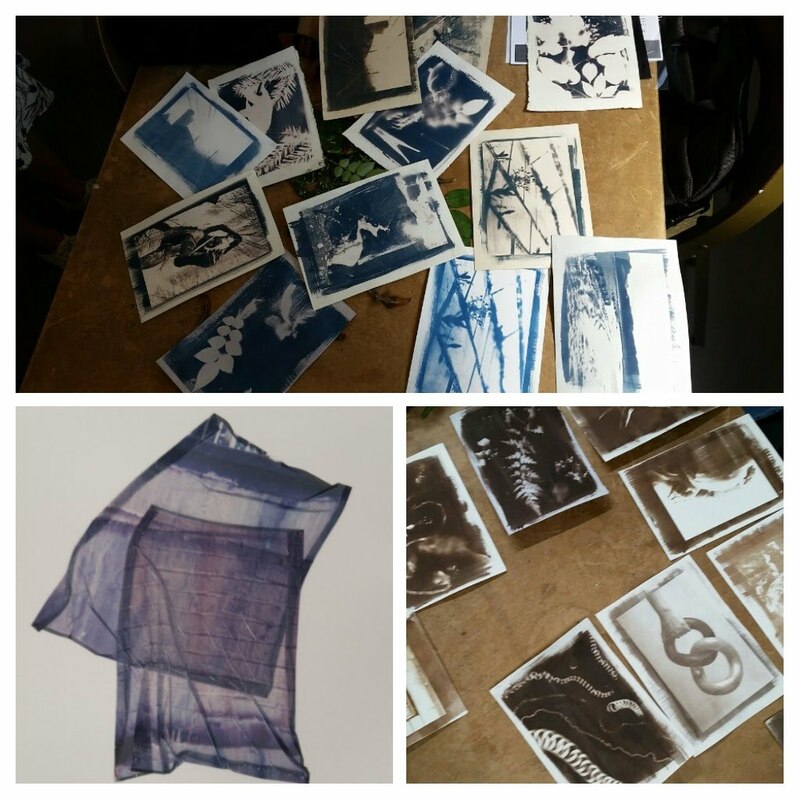 Currently running Cyanotype, Van Dyke Brown and Polaroid Lift workshops at a beautiful darkroom in Camden. All workshops are very hands on, you'll learn to coat paper with light-sensitive chemistry using a variety of brushes, collect flowers and leaves to make photograms or get your hands wet destroying instant film with hot water, ready to apply the gelatinous image to paper, wood, tile and other surfaces. Cyanotype (vivid blue prints) and Van Dyke Brown (rich brown prints) are both 19th Century Victorian processes with incredibly varied results. Each print will be finished with your unique brush marks and can be toned in tea, coffee and wine to make your print warmer, cooler, richer or to change the colour dramatically. Any level welcome, you can be a pro photographer or a complete novice! All materials and equipment are included. These workshops are great as a gift and perfect if it's something you want to do as a couple, a group of friends or even a work outing! All paper and chemicals is included in the price. ONCE YOU HAVE BOOKED, PLEASE REPLY TO YOUR CONFIRMATION EMAIL WITH 2 IMAGES YOU WOULD LIKE TO PRINT. I will need to have these images 5 days before the workshop please. If images are submitted too late you can still attend but will make photograms using objects and can print images using my negatives if you want to. Images with a good range of midtones work well, very contrasty images work less well but it depends what effect you want! Feel free to try anything! Please wear clothes you don't mind potentially getting stained. It'd be great if you could bring some of your own objects for the photogram part - leaves, flowers, objects. Anything with an interesting shape or silhouette or something translucent with an interesting texture (eg, lace).